About wild flowers at lake yovkovysi, near yakovtsi,. ,. thank you very much mariza ,. thank you barbara for looking back and comment,. regards art,. Such a very strong visual impact in this creative image...Terrific work, Art! thank you so much nessa,. and so pleased you like,. my best regards art,. Beautiful .love the effect ,woud look beautiful on canvas .. nessa..congrats on your award. dear salvador, i dont know if i,m worthy of such appraisal, but i except with open arms, i do i do, ha ha,. thank you so much,. my very best regards, art,.,. ps,. i dont know the poet, but i found, tiberius sempronius gracchus,. he and his brother were good men, from what i read,. you keep well salvador,.,. As the Enflish poet said, "It is not in mortals to command success, but we can do more, Sempronious; we can deserve it". But you, Art, you did much more you had succes with the award, and you really deserved it. thank you very much fabio for looking in and comment,.,. not so frightening this one,ha,. best regards art,. thank you very much jose,. as always appreciate your comments,. best regards art,. thank you jill,. just a little bit differant,. if it appeals , print,. much much art,. thank you nigel,. regards art,. thank you very much roby,. much appreciated,. best regards art,. keep well,. Congratulations dear Art. Very pleased about BIP, like your work. congratulations Art, nice to see wild flowers,like the treatment you have given them. woooow well art.. a very nice idea and colors that this flower have on negative effect! glad you like bruce,. well appreciated,. thanks for great comment,. best regards art,. thank you jose,. i went down to lakeside to get some more reflection shots, too much breeze so ended up with this,ha,. best regards art,. 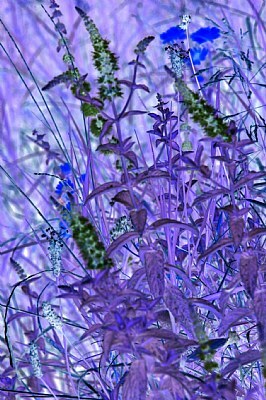 A different approach to wild flowers, everything looks very natural colors, great work Art.